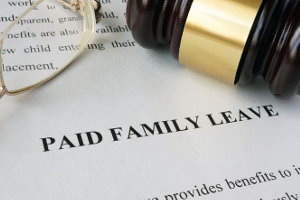 The Legislature will vote Monday on whether to expand New Jersey’s existing paid family leave law to provide workers up to 12 weeks of paid leave and increase the amount of the benefit. NJBIA opposes the bill because of the potential increased costs to small employers. Who do we contact to tell them this makes us uncompetitive with other states. Can NJBIA start a campaign to send letters to these Legislators to wake up and stop hurting small businesses? What is going on with NJ Government!? What a disconnect from small businesses…. I just cannot fathom how STUPID Democrats are as a whole. It’s absolutely mind boggling. Let’s just pay everyone in the state to stay home and not work. That way we don’t have to waste time and money getting there incrementally. Moving my family and business out as soon as I can. It seems if you don’t like working or your just to lazy to work then New Jersey is the place to be No need to work to improve your self just show up. The first family leave law is wildly abused and now they want to expand it! How about passing a bill on term limits to get these bums out. Just add it to the list to leave! NJBIA please post the legislators contact information and sample scripts so that we can appose this as a group. As a small machine shop , it is hard now to compete with shops from other states .With is law it will even be harder . If you can not complete you close the doors and collect unemployment. That really works? Really stupid! Hey Murphy I want my $15.00 per hr.when I serve on jury duty! I got around The sick pay by cutting my employees vacation time. I’m just gonna have to lay off to employees and get under 30 to avoid another bogus democratic Charge. Government will never force me to pay one nickel more than I want to pay my employees. Here come the robots! My Company is going all in on automation since Murphy and the Union crew, excuse me, I mean our legislators, see NJ employees as more important than the Companies who are trying to create jobs for them. Go ahead NJ legislators, keep increasing the cost of employment: watch the jobs in New Jersey disappear. Our governance has the pedal to the floor to rush NJ businesses to a disastrous ending. Watch the urban blight of Trenton, Newark and Camden spread. Its all coming to your town folks. What the hell has happened to our State!? Our legislators will do whatever it takes to “buy”votes. They keep appeasing the public, especially in the cities. Soon unemployment will start to rise and then the legislators will demand higher unemployment taxes. This state is going to go the way of California and end up even more broke than it already is. Glad I am about to exit from business.